José Campeche is one of Puerto Rico's principal painters from the 18th century. His religious canvas, Virgen de la Soledad de la Victoria (1782-89), is a fine example of rococo as are his portraits. The bodegones (still life paintings) of Francisco Oller y Cestero offer the viewer a "visual taste" of the island such as his Yellow Bananas and Avocados with Utensils (1890-1891). In the painting, Plaza San Jose, Manuel Hernandez Acevedo renders the square and 18th century church of San Jose in bold, linear strokes but keeps the essence of the neighborhood alive. No Crying in the Barbershop is Pepon Osorio's multi-media installation. It is at once intriguing and nostalgic. Osorio realizes his definition of the barbershop as a "space for men where they can exhibit vanity and explore male chauvinism" through the placement of key materials in the gallery, each one suggestive of male proclivity. Three barbershop chairs upholstered in red velvet with corresponding mirrors anchor the rear of the room. A pool table hugs center space. Framed pictures of sports personalities and auto parts adorn the walls as hot Latin music plays in the background. A large rose with the inscription "Perdoname Madre" (Forgive me, Mother) is painted on one wall. To complete the display, a life-sized statue of Saint Lazarus greets visitors entering the room. Osorio may be a master of visual presentations but there's more to this work than meets the eye. The museum's five-acre garden is a refuge in the center of a bustling city. A walk along its meandering trails is an education on the flora of the island. The soothing sound of waterfalls beckon you to sit and ponder the harmonious juxtaposition of strategically placed sculptures by local artists such as Angel Botello's Dos Hermanas (Two Sisters) and Jaime Suarez' De Los Muros Derruidos (Wall Ruins) against a lush backdrop. 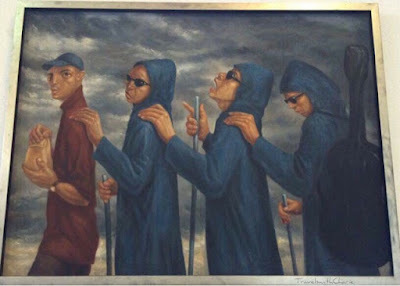 What's unique about Puerto Rican art is that while Puerto Rican artists may have been exposed to external influences, their works remain intrinsically rooted in the local culture. At the entrance to the Museo de Arte de Ponce (MAP) is this welcoming message: "This museum is for all Puerto Ricans. 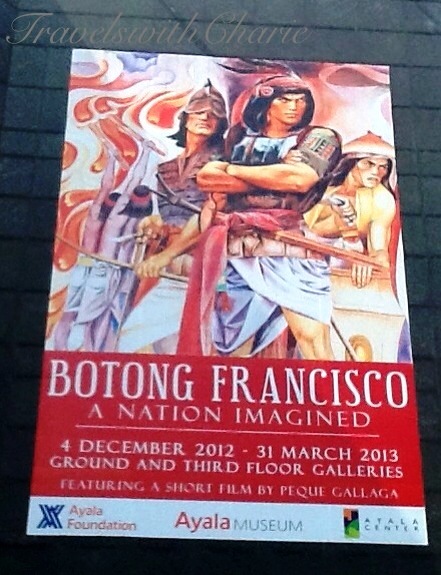 Love of art enriches life. All material things pass. Only beauty, the eternal creation of the spirit prevails". These are the words of Luis A. Ferré, former Governor of Puerto Rico and founder of the museum with his wife, Lorencita. Located on the Caribbean side of the island in Ponce, it is one of the best art museums in Latin America. MAP has an enviable collection of European and American art from the 14th to the 20th century which includes paintings by Peter Paul Rubens (Head of Oldest of Three Kings), Lucas Cranach the Elder (Judith with the Head of Holofernes), El Greco (St. Francis in Meditation), and Francisco Goya (Portrait of Martin Zapater), to name a few. Puerto Rican artists are well represented including Ponce's own, Miguel Pou. His Carriages of Ponce Plaza (1926) evokes the Ponce of yesteryears. My personal favorite is Adolphe Bougeureau's Far From Home (1868), a portrait of two young girls, both seemingly alone and looking vulnerable. But the focal point of the entire collection is, without a doubt, Lord Frederic Leighton's Flaming June (1895). This once forgotten canvas sat in a London art shop until someone took notice of its frame and bought it, leaving the painting behind. 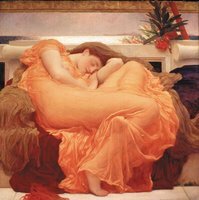 MAP acquired Flaming June in 1963 and today, this beautiful portrait of a sleeping young woman in a diaphanous orange gown, is the museum's main draw. Leighton's vibrant palette creates tension in an otherwise calm setting and successfully pulls off his idea. MAP has over 3000 works of art in its collection. Additionally, it presents rotating exhibits that fit in with the museum's goal to promote the appreciation of art by making it accessible to the local populace. Luis and Lorencita Ferré have bequeathed the finest of all gifts, a gift that transcends the mundane and makes the spirit soar. Museum Information: The Museo de Arte de Puerto Rico is located at 299 De Diego Avenue in Santurce. It is open Tuesday to Saturday from 10 a.m. to 5 p.m. , Wednesdays until 8 p.m. and Sundays from 11 a.m. to 6 p.m. Their phone number is 787/977-6277. The Museo de Arte de Ponce is located at 2325 Las Américas Avenue. It is open daily from 10:00 a.m. to 5:00 p.m. You may contact them at 787/848-0505. There are city orientation tours to Ponce from San Juan which include a docent led visit to the museum. Contact Rico SunTours at 787/722-2080. Alternatively, you can rent a car and drive to Ponce which is approximately an hour and a half from San Juan.